Everybody wants today’s lowest mortgage rate. When you’re buying a home or doing a home loan refinance, you want to get “a good deal”. Maybe you’ll reach out to 4 lenders before locking in a rate; or, maybe you’ll just get one or two quotes instead. Whichever your preferred method to mortgage-rate shop, you’ll want to consider more than just “the rate”. The best price on a loan isn’t always the best rate on a loan. Your home is likely the largest investment you own, let’s take some time to understand how a mortgage rate lock works; and how you can get your best overall terms. A mortgage rate lock is a mortgage lender’s commitment to honor a specific interest rate for a specific period of time. They also specify the number of accompanying discount points required to get access to the rate. Mortgage rate locks are expressed in days, in 15-day increments. The two most common rate lock periods, though, are 30 days and 60 days. In general, the longer your rate lock period, the higher your mortgage rate. Rates locks are available for periods longer than 60 days, but upfront fees typically apply. There are even rate locks available for periods of one year or longer, used for new construction housing. These types of locks may seem like a good deal because they can remove a lot of mortgage rate uncertainty. However, very long-term locks can prohibit your ability to shop for the best rate. Use caution when locking for long periods of time. For shorter-term rate locks, the amount of time in a rate lock should be equal at least to the number of days required to close your purchase or refinance loan. This is because, during the period of your rate lock, your mortgage lender is required to honor your agreed-upon mortgage rate. While your rate lock is in process, take great care to close your loan on time. This is because, should your rate lock “expire”, your lender is under no obligation to its agreement and can cancel your mortgage rate immediately, although that rarely happens. Usually, a “blown lock” is re-established using something called a rate lock extension. A rate lock extension is exactly what it sounds like. It’s an extension to the original rate lock. The lender and the borrower agree to extend the original mortgage rate lock agreement at a cost. Either party can pay the cost, but it’s typically not cheap. This is why it’s important to choose your rate lock term wisely. For example, if you’re buying a home in Tampa, Florida with a closing set for 50 days from now, you would not want to use a 45-day rate lock because forty-five days is too few to get you to your closing. You would “blow your lock” and force a renegotiation. You would use a 60-day mortgage rate lock, instead. Remember, though: a mortgage rate is an agreement between you and the lender. If mortgage rates drop, you don’t have the ability to get a new, lower rate. Your rate is your rate. Similarly, if mortgage rates rise, your lender can’t give you a new, higher rate. The opposite of a mortgage rate lock is a “float”. When you float your mortgage rate, there is no lock and, just prior to closing, you are assigned a mortgage rate at the prevailing market rate of the day. Floating a loan can be risky, especially within 60 days of your closing. With respect to rate locks, there are a few important guiding principles. You’ll want to remember these five things when deciding what to do next. Get your rate lock agreement in writing. Don’t rely on notes from a phone conversation. Rate lock agreements are mortgage loan specific. If you switch from an FHA loan to the HomeReady mortgage, your rate will need to be relocked. 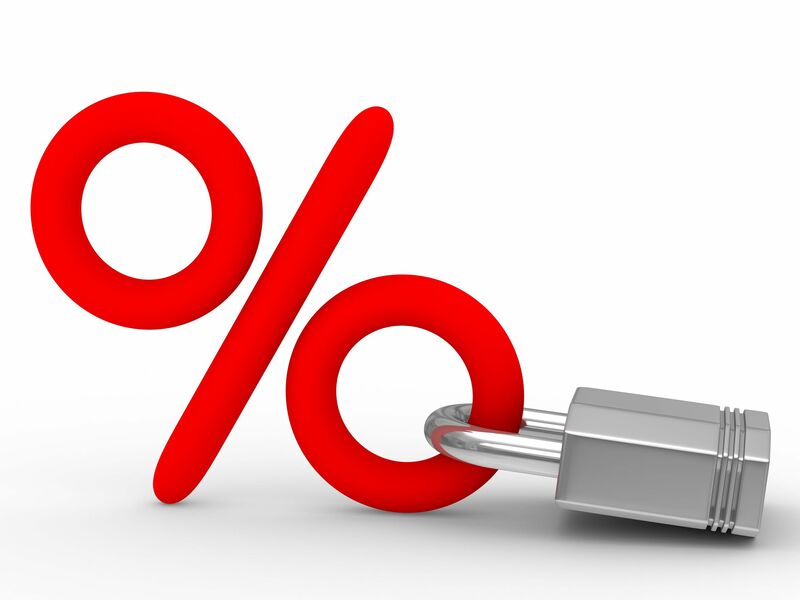 Know your lender’s rate lock policies. You may be able to lock once your loan application is complete, or you may have to wait until after an appraisal is completed. This can affect your rate. Know whether your lender charges a rate-lock fee. These fees are typically refunded at closing, but not always — especially with longer-term rate locks. Know your lender’s policy in the event of a blown lock. Which party pays for the rate lock extension? Furthermore, know that mortgage rate locks can’t usually be executed after-hours or overnight. Therefore, if you plan to lock your mortgage rate in the evening, you may be subject to the next day’s mortgage pricing, which may be better or worse. Every mortgage borrower needs a rate lock in order to close. Therefore, when you’re buying a home or refinancing one, make sure you get the best rate lock possible.